Read the Shipping Department's description of diagnostic specimens/ biological substances. Note: Training and Certification is required for departments to ship Biological Substances/ Dry ice (49CFR 172.700). After the class and test, you will be certified to ship Biological Substances and Dry Ice for 2 years. If you are shipping diagnostic specimens/ biological substances, please read the following description. UCSD conforms to strict government regulations when transporting hazardous materials. Shipments must arrive at their destination in good condition and present no hazard during shipment. Prior to shipping any hazardous material, you should contact the Shipping Coordinator at (858) 534-5737. Diagnostic specimens/ biological substances resulting from medical practice and research are considered a negligible threat to the public health. They are, however, subject to the regulations governing the transport of hazardous material. 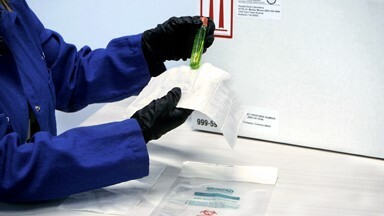 The U.S. Department of Transportation (USDOT) and the International Air Transportation Association (IATA) define a diagnostic specimen/ biological substance as any human or animal material including but not limited to excreta, secreta, blood, blood components, tissue, and tissue fluids collected and shipped for the purposes of diagnosis, investigation, or research. The Proper Shipping Name (PSN) "Diagnostic Specimens" UN3373 is no longer acceptable by the USDOT and IATA. The new PSN is "Biological Substance, Category B" UN3373. See Infectious Substance Description if your specimen meets any of these criteria. Note: Live infected animals are forbidden from air transport. If you are unsure about the regulations concerning shipping a diagnostic specimen/biological substance, submit a ASK case or call (858) 534-5737. They will research your item and advise you how to proceed. For questions or further instructions, please contact us at outboundshipping@ucsd.edu or (858) 534-5737.